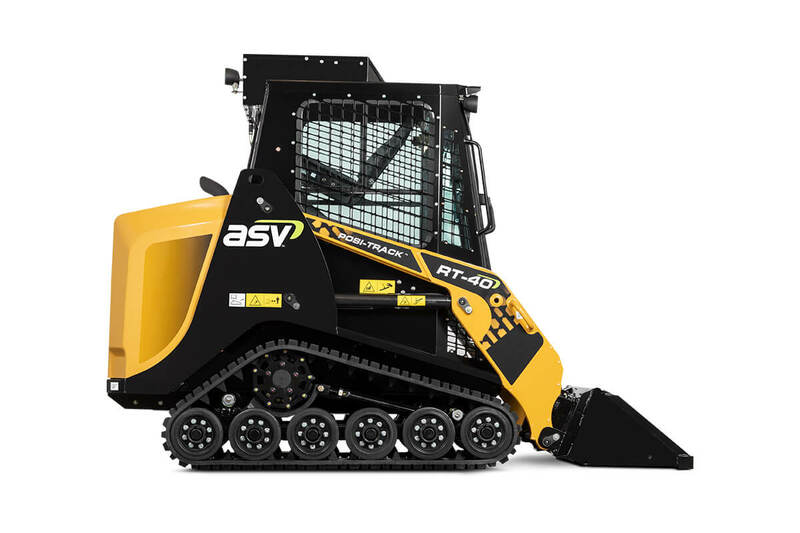 This track loader is pound for pound the highest performing machine in our lineup. 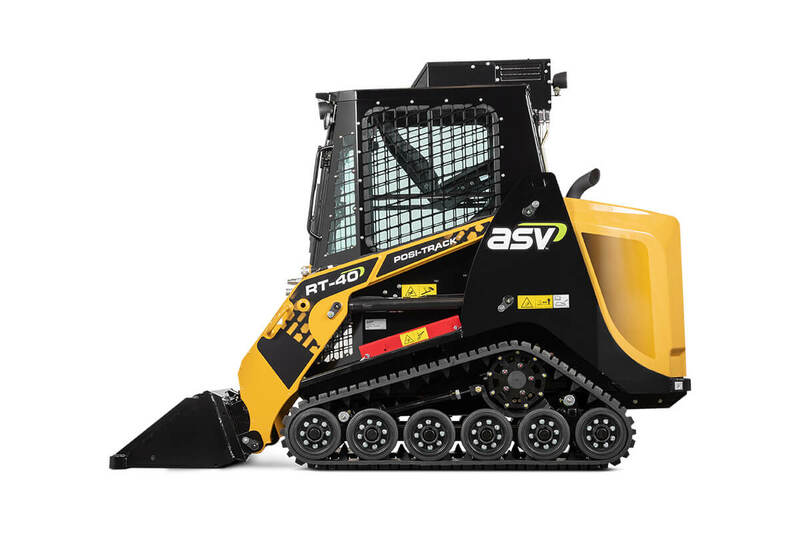 Perfect for landscaping, rental and snow removal, the RT-40 wins with muscle and hustle. 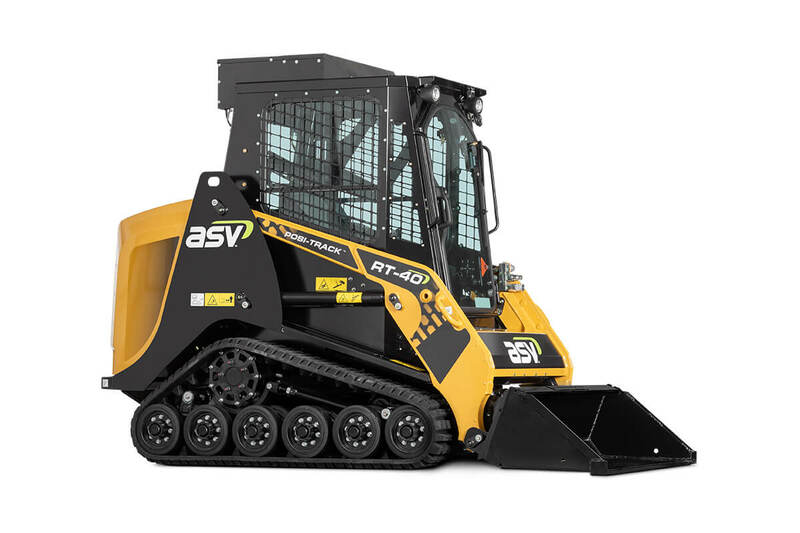 With a compact frame and maximum power, the RT-40 provides a productive alternative to walk-behind and stand-on mini skid-steer loaders. 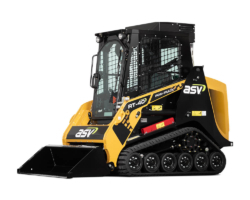 And with its reliability, serviceability and comfort it’s ideal for homeowners and contractors looking to accomplish a lot in small spaces. 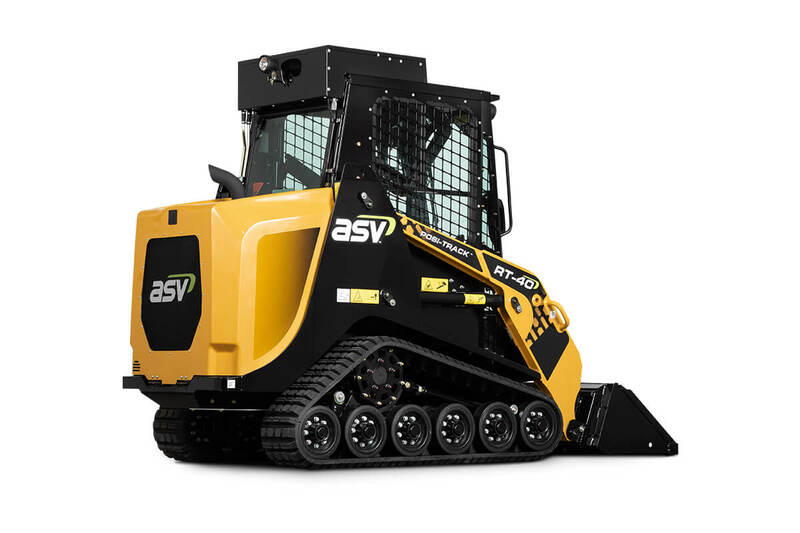 Built for performance, this 4’ wide powerhouse comes with a turbocharged 37.5-horsepower Kubota diesel. 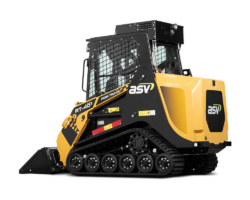 The 1.8-liter displacement engine produces 84.5 foot-pounds of torque while providing high tractive effort as a result of ASV’s Posi-Power system—this allows for exceptional pushing and digging power. 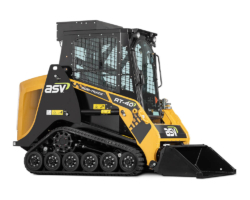 The 4,175-pound RT-40 features a rated operating capacity of 931 pounds and a tipping load of 2,660 pounds. 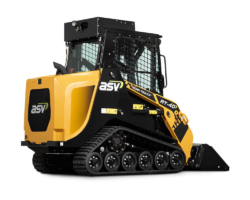 The ASV RT-40 compact track loader is engineered to deliver minimal ground pressure while topping out at 7.1MPH and reaching an impressive 8.4-foot lift height. 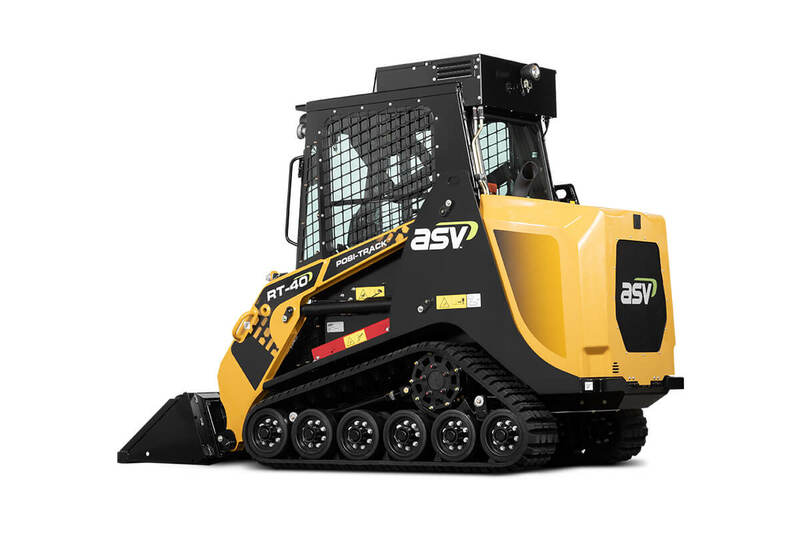 The machine’s frame allows for a 10.8-inch ground clearance thoroughly outperforming any walk-behind or stand-on loader when it comes to traveling obstructed terrain. 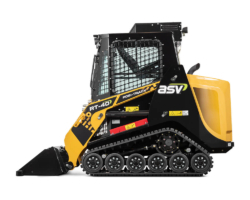 To give operators peace of mind, we designed the RT-40 with premium safety, comfort, and visibility features. The seated cab eliminates the fatigue from standing all day and offers protection from the elements. 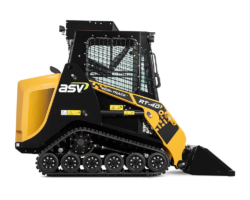 It’s built to provide ample headroom for taller operators and it’s pressurized for a clean, comfortable environment. Large windows also make it easy for operators to be aware of their surroundings. 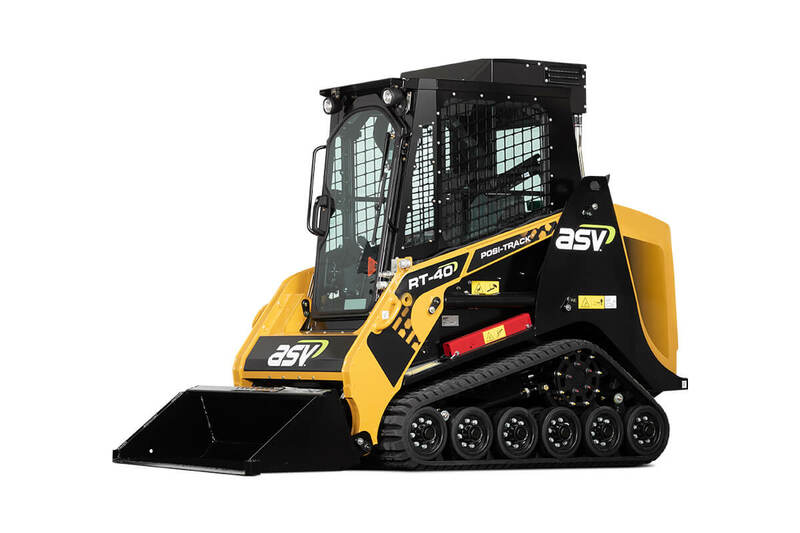 For maximum serviceability, the RT-40 is designed with a large rear-tilting hood to provide easy access to all maintenance points, including filters, oil and fuel tanks, reservoirs, hydraulic and water separator drains, and the battery. Servicing improvements within the cab include placing the fuse panel there for fast access, as well as making the seat removable with just two bolts. All of these features mean less downtime spent servicing the machine and more time operating it.